Wraparound with Intensive Services (WISe) provides intensive mental health services in a wraparound team structure for children and youth involved in more than one system. It’s available to Medicaid eligible children/youth from birth to age 21. Provide intensive mental health services to assist youth and families in achieving wellness, safety, and relationships within their community. Develop a single plan, based on strengths and needs. The plan is guided and driven by the youth and family using a team. Team members include natural supports and professionals who work with the family. Provide supports to the family and youth in locations and at times that work best for the youth and family. Provide access to crisis services any time of the day, 365 days a year. A frequent user of the crisis line or emergency rooms due to mental health. Experiencing challenging, hard to understand behaviors, and traditional services are not helping. In need of a more intensive and individualize approach. Involved in more than one service system, and the system(s) are struggling with supporting the youth in a coordinated way. In Special Education and/or have a 504 Plan, with multiple school suspensions for mental health and/or behavioral issues. WISe will be available statewide in 2018. 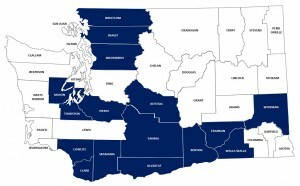 Community Mental Health Agencies* currently provide WISe screening and services in 16 counties. Anyone can call to request a WISe screen. You do not need a referral. For information on where WISe is available and who to contact, send an email to: WISeSupport@dshs.wa.gov.